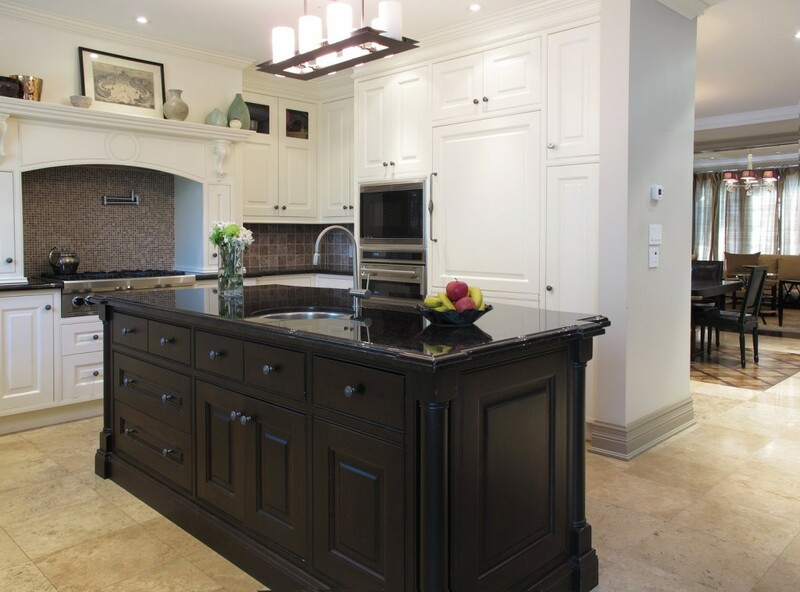 Open Concept Kitchen/Family Room | Portfolio Projects | Fleur-de-lis Interior Design Inc.
Wenge stained island offers a sharp contrast to the cappuccino coloured traditional kitchen surround in this open concept family room/kitchen combination. 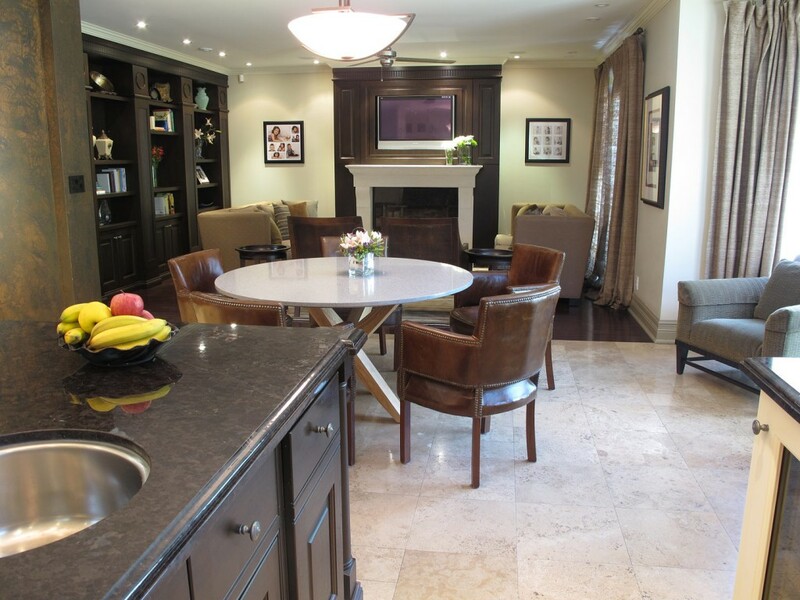 Circular breakfast area bridges the kitchen work space and family room beyond. 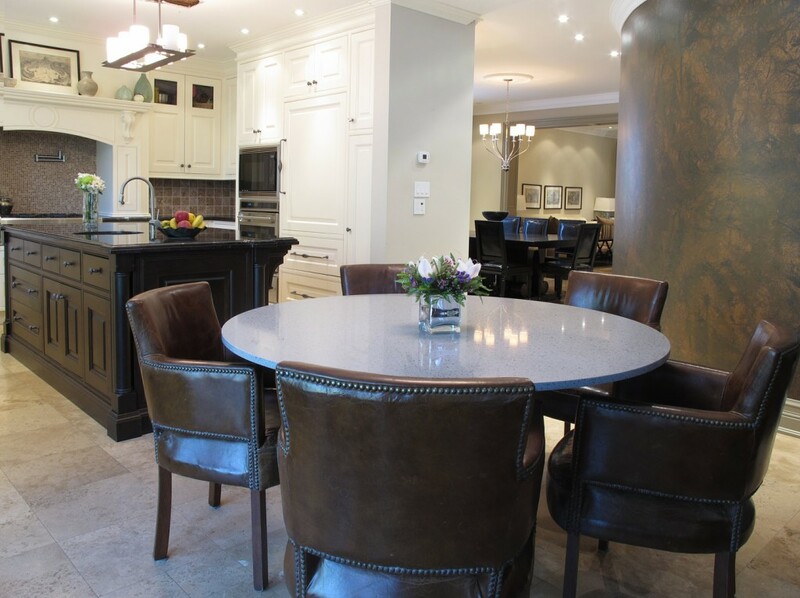 Faux finished, curved wall allows a graceful sweep into the dining and living rooms. 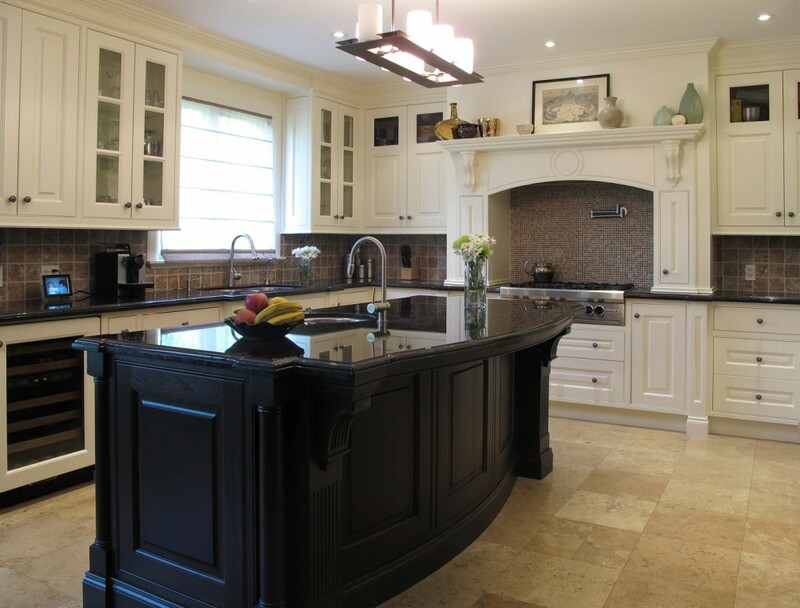 Traditional detailing mixed with contemporary simplicity blends the bookcase and fireplace millwork into the colour scheme of the kitchen. Contemporary furniture in a symmetrical layout is comfortable yet ordered.